Winner of the American Astronomical Society’s Chambliss Award, Astrophysics in a Nutshell has become the text of choice in astrophysics courses for science majors at top universities in North America and beyond. In this expanded and fully updated second edition, the book gets even better, with a new chapter on extrasolar planets; a greatly expanded chapter on the interstellar medium; fully updated facts and figures on all subjects, from the observed properties of white dwarfs to the latest results from precision cosmology; and additional instructive problem sets. Throughout, the text features the same focused, concise style and emphasis on physics intuition that have made the book a favorite of students and teachers. 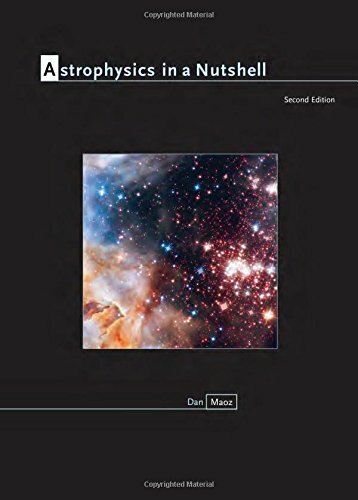 Written by Dan Maoz, a leading active researcher, and designed for advanced undergraduate science majors, Astrophysics in a Nutshell is a brief but thorough introduction to the observational data and theoretical concepts underlying modern astronomy. Generously illustrated, it covers the essentials of modern astrophysics, emphasizing the common physical principles that govern astronomical phenomena, and the interplay between theory and observation, while also introducing subjects at the forefront of modern research, including black holes, dark matter, dark energy, and gravitational lensing.